In this month’s Wired, Lone Shark Games is presenting a unique challenge to puzzlers, techies, and . . . thugs? Promising “A Guided Tour of the Dark Side,” this special “Underworld Exposed” issue includes fascinating articles about real-world crime and other things hidden from plain sight. Along these lines, the magazine, available both in print and for the iPad, contains secret codes that, when deciphered, will provide an email address. When contacted at a certain time and date, Decode will confer upon you a most dubious honor and a place in the ultra-secret puzzling society, the Ring of Dishonor. The Ring of Dishonor is a darker, scarier version of Decode’s regularly featured Ring of Honor puzzles. How do you get started on your criminal puzzle-solving career? Check out this trailhead puzzle, involving the now-extinct language used by Chinese women to communicate without being watched. Using this puzzle as a launching pad, nine other secret languages are being revealed in quiz form at Decode to supplement the print magazine (iPad readers have all the secret languages available already). Somehow, through the magazine, these secret languages will bring enthusiastic seekers “behind the door,” so to speak, if they’ve got the puzzle-solving chops to figure it all out. infiltrate and infect many of the issues with puzzle and game content. We helped contribute to the mythology around the LOST finale, and undertook the creation of the “non-alternate reality game” genre with Evan Ratliff’s Vanish hunt and the manhunt around the movie Repo Men. Since June, we’ve also contributed a puzzle a month based on the Play section’s theme that month, and put regular content up on the Decode site . . . . And then Wired decided to devote all of February to the ultra-swank Underworld theme, and we were given free rein to modify that issue, the iPad version, and the online site to our needs. Intrigued? It’s not too late to join the fray and get your grubby, thieving hands on a copy of “The Underworld Exposed” special issue of Wired. Try not to get distracted learning how to buy a kidney or how to ship cocaine. Catch up on the secret languages that have been revealed and start cracking. 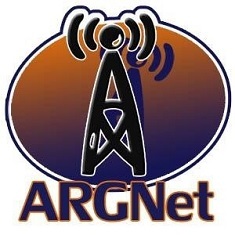 Note: In the interest of full disclosure, ARGNet content is syndicated on the Decode site. However, Decode editors have taken great pains to prevent contributors (dastardly, meddling types such as myself and criminal mastermind/ARGNet owner Michael Andersen) from sneaking in and seeing the puzzles before they are published at Decode. NOW that was just epic….